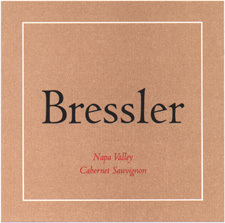 The 2008 crop at Bressler was down almost 30% compared to the ’07 due to a number of factors that affected many Cabernet vineyards in the Napa Valley. The primary factor was an early bud break in spring brought on by the dry soils from the second consecutive year of drought. Early bud break in itself is not a bad thing but there are two big worries that concern growers when it happens: frost and uneven weather during bloom. Napa got both. In the case of frost, it was the worst Napa had seen in 30 years or so. Luckily Bressler Vineyards isn’t located in a bad frost pocket and has effective frost protection in place so the crop was not affected here as it was in many other Napa Vineyards. 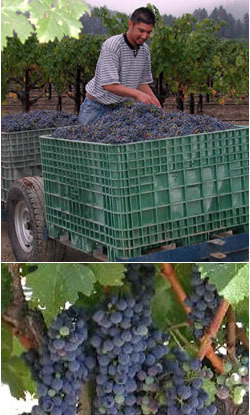 The uneven weather during bloom, however, did trim the Bressler crop down by affecting the set of the fruit. In contrast to the rough breaks of the spring weather, summer and fall were relatively nicer weather-wise with only three periods of heat greater than 90° F and no rainfall to speak of. This was important as it allowed more even ripening without the sugar spikes that can happen with a small crop. The wines have excellent quality and concentration, but are a little more tightly wound -- not in the sense of being overly big in structure, but rather just not showing all their cards in a precocious manner. The blend for this wine is 76% Cabernet Sauvignon, 10% Cabernet Franc, 8% Petite Verdot, and 6% Merlot. Primary aromas include freshly roasted coffee, bittersweet chocolate and graphite with plum eau de vie and raspberry as well. With a little time in the glass, subtle caramel and vanilla characters surface along with a hint of sandalwood. Initially the palate is very measured and long with a structured and seamless texture. With a bit of air from decanting, the flavors, length and texture all intensify to make the wine quite irresistible. The total production was only 280 cases.